Simpson Marine is delighted to announce its new partnership with Hong Kong based charter and yacht management company, Discover Sailing Asia, for the exclusive supply of a fleet of 32 Beneteau Oceanis 45 sail boats to be based in eight countries around Asia and available for charter. Discover Sailing Asia’s mission is to develop sailing in Asia via an all-inclusive intelligent yacht ownership program offering investors to purchase a new Beneteau Oceanis 45 to be managed and chartered by Discover Sailing Asia covering all yearly operational costs and granting up to 9% of the yacht’s value as yearly revenue to owner. This easy ownership program is destined for investors seeking alternative investments while enjoying hassle free sailing in Asia. The company offers three membership programs for investors with PERFORMANCE, ELITE or DREAM Programs, each of them offering unique advantages to owners with the PERFORMANCE program including a buy back guarantee after 6 years of use. 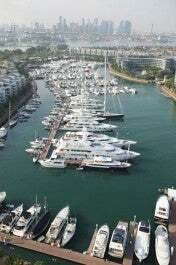 Each program combines financial benefits with a defined number of weeks that owners are entitled to use their boats in their base but are also entitled to use all the other yachts in the fleet within the total of 18 locations proposed by Discover Sailing Asia and including Hong Kong, Singapore, Taiwan, Thailand, Japan, Malaysia, Indonesia, Philippines. Discover Sailing Asia company’s vision consists on establishing a fleet of 32 units of Beneteau Oceanis 45 within eight countries of Asia with various locations in each country. 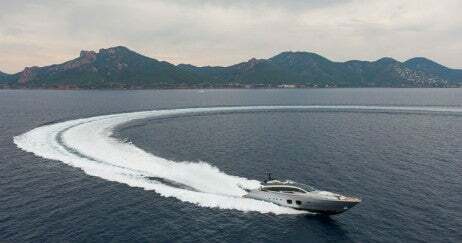 The company aims to develop charter and yachting in Asia and increase the number of charter destinations currently available for sailing. As recent researches published by YachtSys®*, currently the charter boat market globally counts 11,000 boats with 94% sail boats with only a small percent being available in Asia. Most popular destinations are still Europe with Croatia and Italy, followed by the Caribbean with Martinique as a favorite bare boat destination. By creating easy purchase, management and revenue to owners, Discover Sailing Asia is providing an opportunity to access sailing to a much broader group than before and as consequence considerably increase boating figures. As a leader in yacht sales and services in Asia operating in seven countries with 20 offices and 10 service centres, Simpson Marine has been selected as an exclusive partner for this project and the boat that has been chosen for the program is the success story from Beneteau, the Oceanis 45 is capable of comfortably sleeping up to 8-10 guests in 4 double cabins. The first four units of Discover Sailing Asia Special Edition of OC45 designated for Hong Kong will be delivered in Spring 2017 and with immediately availablity for charters within Hong Kong waters. Beneteau Group is the world’s leader in sailing boat construction with over 30 years presence in Asia, together with Simpson Marine. The shipyard is delighted to support this new project which is in line with Beneteau’s mission for the past 130 years, to develop, grow and enjoy sailing all around the world. With the passion for the sea and sailing as the core for the intelligent yachting project, both Simpson Marine and Discover Sailing Asia are confident in the success of this project and look forward to welcome many first time owners and investors who wish to enjoy sailing (holidays, course, events) and benefit from regular revenue without a single worry on daily operations.